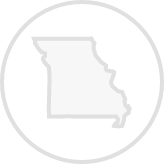 Create a legally binding Missouri Bill of Sale with our attorney-drafted template! What Is a Missouri Bill of Sale? A Missouri bill of sale is a legal document that allows two parties, referred to as the buyer and the seller, to exchange ownership interest in the described item. Depending on the item being sold, the Missouri bill of sale will need to be notarized. What Are Some Common Bills of Sale Used in Missouri? The most commonly used Missouri bills of sale are a general bill of sale, a bill of sale for a motor vehicle, a bill of sale for a boat, and a bill of sale for a gun. How Do I Write a Missouri Bill of Sale? Writing a Missouri bill of sale is easy if you know the elements that should be included. You don't have to use any complicated legal terms. In this section, you're going to learn about the common pieces of information that belongs in every type of Missouri bill of sale. Then, you'll learn how to properly describe the items through the most commonly used bills of sale. Every Missouri bill of sale should have the date that it was created. However, that's not the only date that a bill of sale may need. If the buyer is paying for the item on a different day, that date should be mentioned in the section that discusses payment. 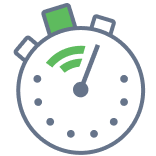 The date that the buyer and the seller sign the bill of sale should also be included. If you're using a bill of sale that requires a notary stamp, do not sign or date it until you're in the presence of the notary. 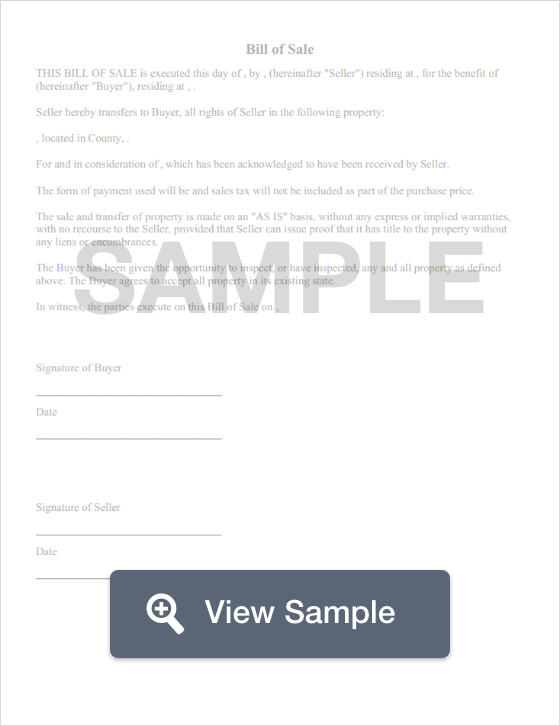 The document should include the full legal name of both the buyer and the seller. Next, you'll list the full legal address (including city and zip code). Although it isn't legally required, you may also want to list the driver's license number of state identification card number for both the buyer and the seller. The reason for this is that it makes the identification process easier using the bill of sale if the item is stolen and you must prove ownership. Next, you'll include a description of the item. You'll learn more about how to describe items in the next few sections. You can use a Missouri bill of sale if you're giving the item as a gift to another person. All you must do is list in the payment section that the item is being given as a gift. If a trade is involved, you should mention that payment is being made in the form of another item. For monetary payment, you will list the amount in words and then in numbers. For example, four-hundred dollars and zero cents ($400.00). Including a seller's disclosure is always a good idea. A seller's disclosure informs the buyer of any problems that you know the item has. This can be as minor as a scratch or a chip. It could be an occasional problem with the item. It could be informing the buyer that they are buying something that doesn't work at all or that needs major repairs. Even if you're sure as the seller that the buyer knows about any problems with the item, putting that in writing helps protect you by informing the buyer that the sell is "as-is" and that you're not making any guarantees about the item. Finally, a Missouri bill of sale should be signed and dated by both parties. Remember that some bills of sale require a notary public. Both parties should keep copies of the completed document for their personal records. A Missouri general bill of sale is used if you're looking to sale an item that doesn't qualify as a motor vehicle, boat, or gun. Examples include jewelry, used appliances, bicycles, and even your used electronics. When you're describing the item, you should describe it in a way that would help identify the item. Common descriptors include color and size. If the item has a serial number, a registration number, or a make and model, you should include that information. If you're selling an item that qualifies as an electronic device, such as a laptop, you could also include information such as the size of the hard drive, size of the screen, and the amount of memory. You'd also want to specify if you're including a charger or power cable. A Missouri general bill of sale does not need to be notarized. When you're writing a Missouri bill of sale, you should include the year, make, and model; the title number; and the VIN. The seller is responsible for completing an Odometer Disclosure Statement (Form 3019). A Missouri bill of sale for a motor vehicle may be notarized, but it isn't a legal requirement. A Missouri bill of sale for a boat should include the make, length, and year the boat was built; the Hull ID, the registration ID, the odometer reading (which may be given in hours, knots, miles, or kilometers); and the title number. Many boat sales include a trailer and a motor. You can indicate in the bill of sale whether either item is included. If the sale includes a trailer, you can describe the trailer by listing the make and the year. If there is a motor, you should list the make, year, and horsepower. You'll also need to complete an Application for Missouri Boat/Vessel or an Outboard Motor Title and Registration (Form DOR-93). A Missouri bill of sale for a boat may be notarized, but it isn't a necessity. A Missouri bill of sale for a gun should include the make, model, caliber, and serial number of the gun being sold. If the gun is being traded for another gun, the trade item should also be described in terms of the make, model, caliber, and serial number. A Missouri bill of sale for a gun does not need to be notarized. Both the buyer and the seller should keep more than one copy of the completed document. Is a Missouri Bill of Sale Required to Register a Vehicle? Yes, a Missouri bill of sale is required to register your vehicle. The bill of sale should be turned over to the Department of Revenue by the seller. The seller will also need to complete a Notice of Sale (Form 5049). You'll also need a certificate of title or a manufacturer's statement of origin, a signed Application for Missouri Title and License (Form 108), an odometer inspection, a completed odometer disclosure form, and a notarized lien release (if applicable). You should also be prepared to pay your sales tax and a title fee. Is a Missouri Bill of Sale Required to Register a Boat? Yes, you will need a Missouri bill of sale, a Manufacturer's Statement of Origin, a properly assigned title, or an Application for Missouri Watercraft or Outboard Motor Title and Registration. You'll also need a copy of the receipt that proves you paid your personal property tax for the boat or a statement of non-assessment for the previous year. You could also need other tax information. You may also need a notarized lien release. Is a Missouri Bill of Sale Required to Register a Gun? No, a Missouri bill of sale is not required to register a gun. Guns are not registered in Missouri. Create a free Missouri Bill of Sale in minutes with our professional document builder.